Homebase is culling a third of its head office staff – 303 roles – as its new owner gets to work on fixing up the ailing DIY chain. The retailer’s previous custodian, Wesfarmers, bought the Homebase business in 2016 for £340m with the intention of using its 250 stores to launch its Bunnings fascia in the UK. But its mission failed, and spiralling losses drove the Australian firm to retreat from the UK and hand over Homebase to private equity firm Hilco, which also owns HMV, for a nominal £1. 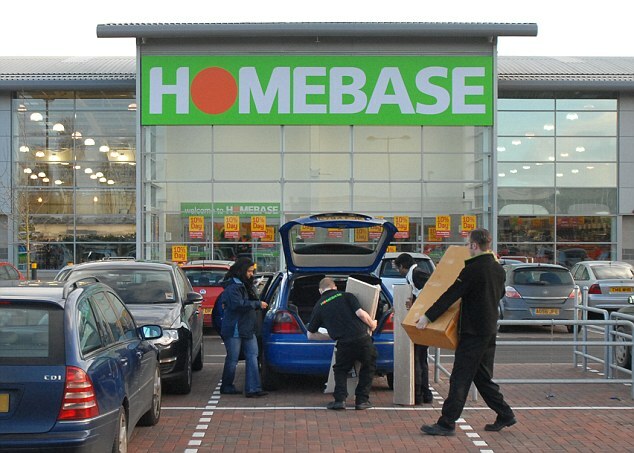 The retailer said today that the job cuts are ‘necessary’ to ensure Homebase is better prepared ‘to meet the demands of the UK’s challenging retail environment’. It also said it reflected the urgent strategic changes being implemented. The centre in Milton Keynes previously supported both the Homebase and Bunnings brands, but since the withdrawal of Bunnings, only needs to serve one. Homebase currently employs 12,000 people. As part of the Hilco takeover, a total of 24 stores that were trading as Bunnings will convert back to the Homebase fascia.